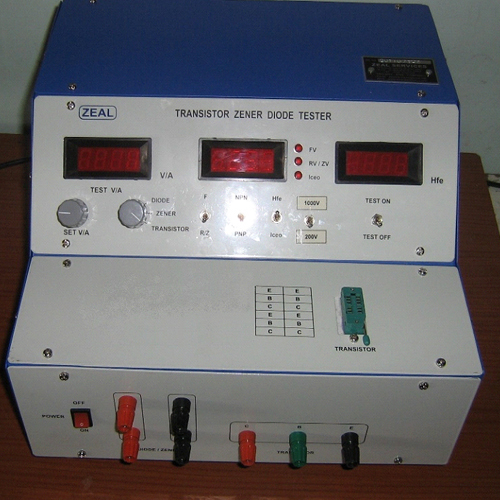 In order to keep pace with the never-ending demands of customers, we are involved in manufacturing and exporting a wide range of Zener Diode Transistor Tester. Our product range is highly demanded amongst customers for its trouble free maintenance, fine finish and precise design. Furthermore. Our quality controllers inspect the quality of product as per the set industry standards before delivering to the clients. 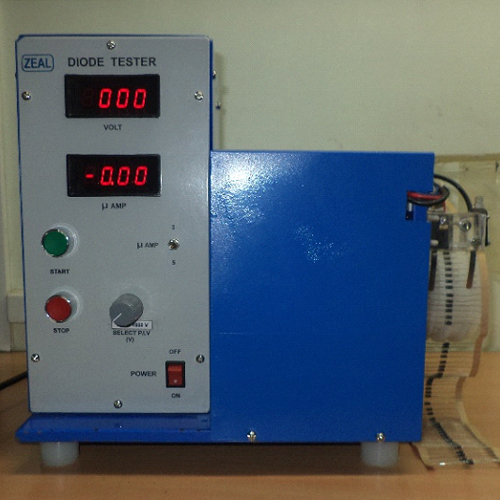 Diode Strip Testing 1) Continuous strip movement by motor with suitable loading arrangement of diode strip. 2) Whenever leakage current exceeds motor movement will come to halt for identifying faulty diode. Iceo Measurement Range of Test Voltage: 35 to 130 Volt.